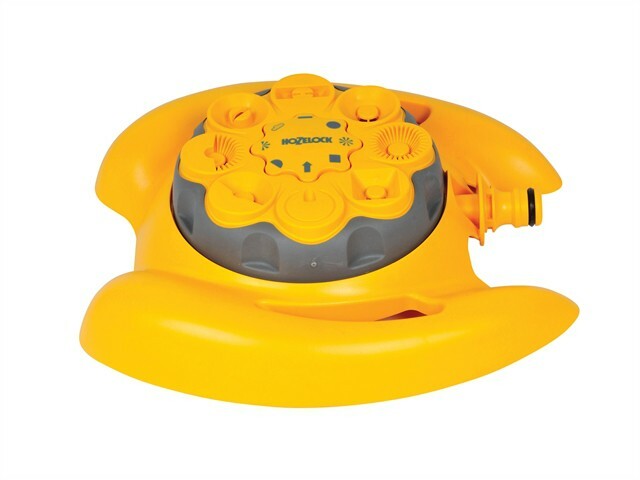 This Hozelock dial sprinkler has a choice of 8 spray patterns to suit all watering shapes and types - small semi circle, large semi circle, mist, strip, large circle, small circle, square and remote jet. The sprinkler comes complete with soft-touch, easy-grip adjuster ring for changing spray patterns even with wet hands. It is mounted on sled base to suit all surfaces. Max area coverage: 79m² (maximum diameter of 10m).